To make the marinate, bring sake and mirin mixture to boil and leave it for 10 to 20 seconds to remove the alcohol. Let it cool and combine it with the white miso. Season with pepper, garlic, ginger, olive oil and orange zest. Spread half of the marinate on the base of a deep tray. Place the salmon fillet on top of the marinate. 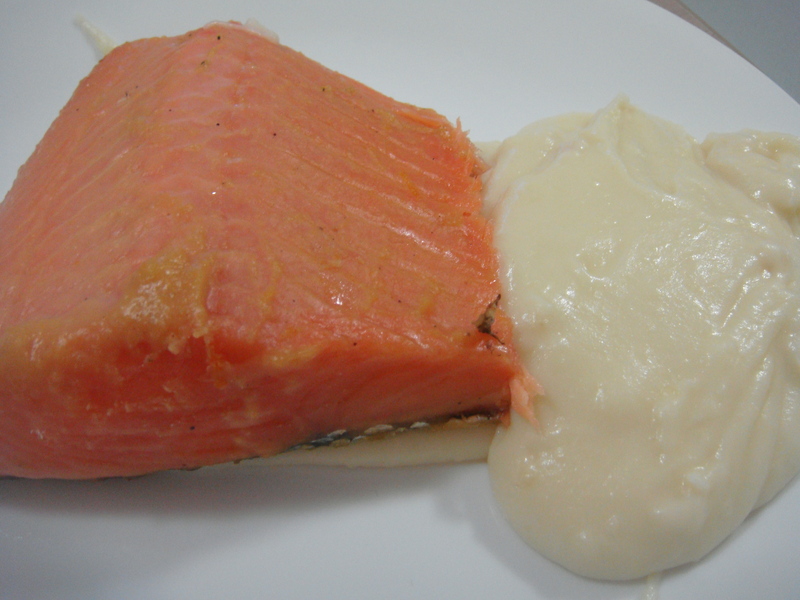 Spread the remaining marinate on top of the salmon fillet. Cling wrap the tray and refrigerate it for about 24 to 36 hours. Remove the marinate from the salmon fillet and transfer it to a baking tray. Place the baking tray on the middle rack and grill it for 5 to 6 minutes. Transfer it to the top rack to colour it.